Providing the perfect venue is essential to organizing a successful party or gathering. family reunion, graduation party, anniversary, community meeting or religious service, no matter what size or location. 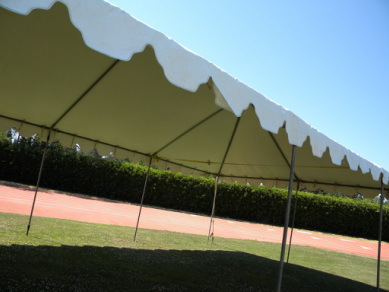 Our steel-framed tents combine aesthetic beauty, shelter from weather, and security, enabling you to plan your event regardless of weather conditions. If desired, we can provide stages of any configuration, parquet flooring, dance floors, windowed or solid walls. Call us today to get your event off to a successful start.